With a small army of experts in a tightly formed executive circle, BCB Homes’ approach to a competitive market is to surround it with proficiency and know-how. Greg Brisson has a saying that describes the business model of BCB Homes — Expect what you inspect. Although it isn’t an official company slogan, those four words speak to the core philosophy of how the 25-year-old Naples-based homebuilding firm continues to grow its business within its defined Southwest Florida footprint. Brisson, a 13-year BCB Homes veteran recently promoted to president, is one of an executive team of seven, each of whom contribute their diverse areas of expertise to the operations of the company. Those operations span wide, with the company’s model one of managing as much as it can in the homebuilding and general contracting process in-house, through subsidiaries — a somewhat counterintuitive approach in the fragmented industry. The strategy, combined with an uncanny attention to detail and hiring experts in a handful of niche building fields, works. 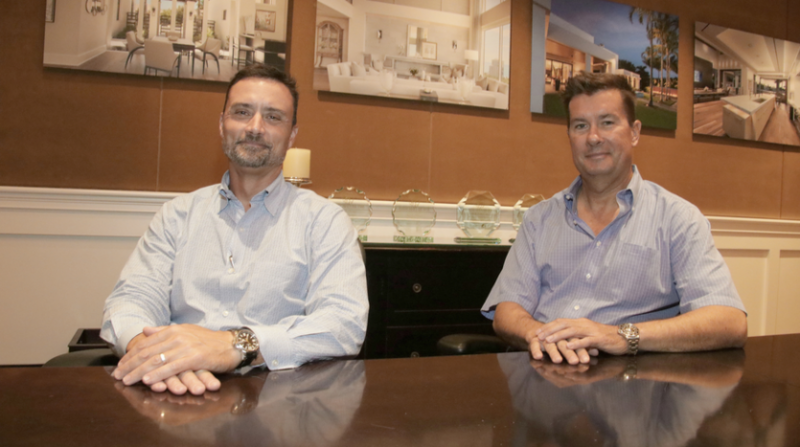 With 150 employees working in multiple companies under the corporate umbrella, BCB Homes has grown exponentially from when founder and CEO Joe Smallwood started the company as a one-man operation with a single customer, completing a 10,000-square-foot home that had been started by another builder. The company declines to disclose revenue data. The recent promotion of Brisson to his own former role as president, Smallwood says, was the next natural step for continued growth. Over the past 25 years, BCB Homes has built some 250 custom estates from Naples to Sarasota. Along the way, the company added services such as renovations, remodeling, commercial and condominium build-outs, estate management, home maintenance services and additions. In the process, it has brought in-house window and door installers, roofers, frame carpenters, trim carpenters, waterproofers, painters and drywall and stucco technicians — a strategy that not only helps control outcomes, but counters the current market labor shortage. Nearly two-thirds of the company’s employees are skilled trades. The in-house expect what you inspect philosophy carries through to present day for the company. In recent weeks, for example, BCB Homes consolidated its remediation programs into a new subsidiary, Innovative Construction Solutions. It also recently acquired Dickson Roofing of Naples, a 40-year-old company founded by owner Les Dickson in Oklahoma and relocated to Naples more than three decades ago. It will also operate as a subsidiary of BCB Homes. What “happens” says Brisson, is substandard construction quality, particularly in the critical building envelop. BCB Homes, in turn, has incorporated multiple performance testing procedures for those highly critical areas such as windows and doors, waterproofing, roof integrity, mechanical systems and more. As the company built its staff, it recruited expertise in quality control and testing. With all that expertise in-house, the next logical step was to spin off Innovative Construction Solutions, which specializes in diagnosing and implementing corrective actions to eliminate building failures caused by faulty construction and structural aging. It was formed as a subsidiary, says ICS President Travis Brown, because it also does work for commercial contractors, as well as homebuilders that compete with BCB Homes. Those partners include Dickson Roofing, which, like Innovative Construction Solutions, also still works with other builders in the market. 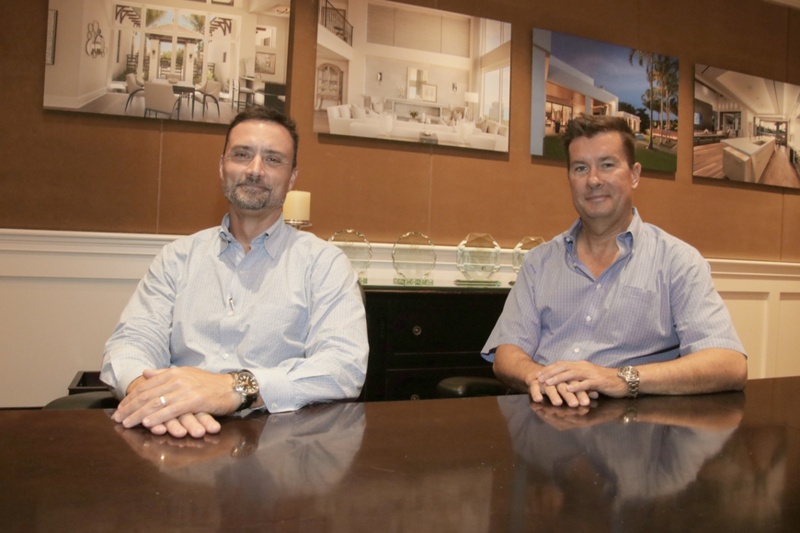 BCB is growing in geography, too, having recently opened its first satellite office in Boca Grande, to better serve its homebuilding operations there. Brisson currently oversees 83 active projects from Boca Grande to Marco Island, ranging from a $500,000 remodel to at $10 million custom home. Innovative Construction Solutions, meanwhile, formalized BCB’s remediation operations under the leadership of 16-year company veteran Brown. The subsidiary was a natural extension of what the company had been doing for clients seeking repairs. The new entity offers more than 20 years of building science expertise with a range of construction and remediation services including waterproofing; window and door installation and replacement; roofing repairs and replacement; systems testing and building envelope analysis; and diagnosing and repairing exterior wall finishes, water infiltration areas, HVAC systems and ductwork failures. The critical aspect of building science, say Smallwood and Brisson, is understanding that repairing water damage, for example, does not necessarily address the cause of the problem. Innovative’s testing protocols treat the structure as an interactive system, identifying and remediating the source rather than simply addressing the symptom. Smallwood says the multidisciplinary expertise offered by Innovative provides an advantage over typical contractors when it comes to diagnosing nonperforming elements of a structure. “All the testing techniques and knowledge we use for our construction and renovations to make our product perform better are what allow us to diagnose someone else’s building and figure out what needs to be done to bring it up to a higher level of performance,” says Smallwood. The September acquisition of Dickson Roofing, Smallwood says, brings in-house another layer of structural integrity expertise. Les Dickson moved operations from Oklahoma to Naples in 1984 to begin remodeling and tower construction of the Edgewater Beach Hotel. A member of the Florida Roofing & Sheet Metal Association, Dickson serves on the Tile Committee responsible for code regulations of roof tile applications in Florida and is co-chairman of the organization’s governmental affairs committee. All of these strategic moves taken together, says Smallwood, were made with an eye toward constant improvement — a byproduct of which is growth.